Mortgage rates along with the financial markets in general are experiencing significant volatility in the aftermath of the US elections. While we know who will be President and the makeup of Congress we are now facing the urgency of getting things done in light of the impending tax increases and automatic spending increases known as the fiscal cliff. On top of that is a looming debt ceiling crisis and worsening economic conditions in Europe. 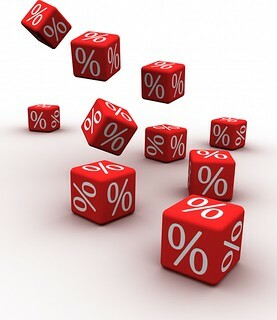 Today rates appear to be headed slightly higher based on early trading. Why? With only one economic report today and markets reeling from a very active week and more weather turmoil in New York City, it is somewhat surprising to see a sharp move on a Friday. But, the one report—import prices—provided an unwelcome surprise this morning that has spooked traders. Next week we will see if these higher import prices are reflected in either higher producer or consumer prices. Last month there was no such transfer of higher prices despite a similar increase in import prices. There is growing concern that the US may be heading for recession due to the combination of slowing US and global growth and potential fiscal crisis brought on by political gridlock. According to David Rosenberg, an economist with the investment firm Gluskin Scheff, “The other overriding problem is we never really gained true escape velocity this cycle.” What he means is that our economy never became strong enough to withstand the potential pressures mentioned above. Most analysts believe the US will sustain further slowing of growth and perhaps a recession unless a credible budget deal is reached and soon. In addition to the key inflation reports next week are readings on consumer sentiment and retail sales. While both measures have been strong recently and will likely still appear strong in this report, the period between now and this time next month will be crucial in determining the sustainability of the economic recovery. By the 15th of next month we will likely know whether the recovery can be sustained or if a recession is likely in early 2013. I would really encourage anyone still interested in refinancing their current mortgage to look NOW, rates are still great! If I can be of assistance feel free to call me, Kara Holleran 239-246-6000. Posted on November 12, 2012, in Finance and tagged Congress, David Coster, Debt Ceiling Crisis, Election, Finance Me, Fiscal Cliff, Fort Myers, Genesis Lending Group, Gluskin Scheff, Kara Holleran, Lender, Loan, Mortgage, Mortgage Rates, New York City, President, Property Guiding, Real Estate Financing, SWFL Real Estate. Bookmark the permalink. Leave a comment.